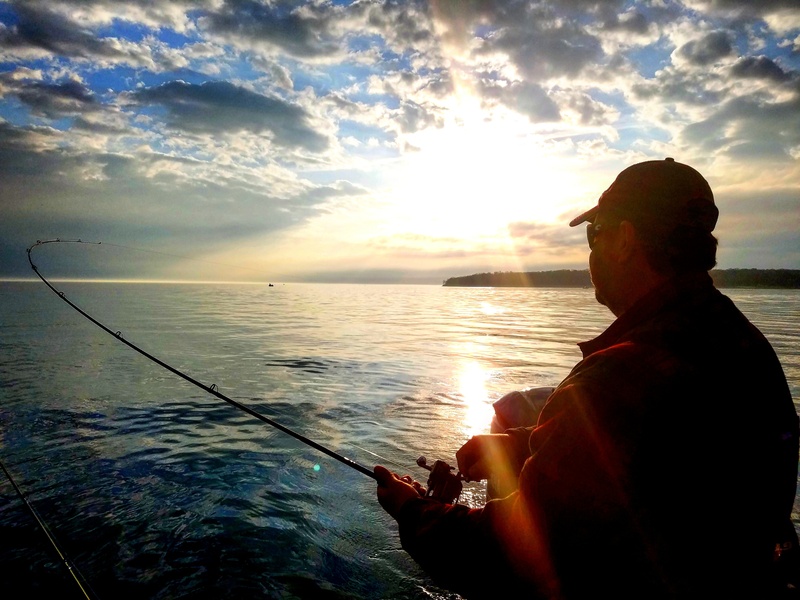 Lake Erie is by far the crown jewel of Walleye fishing. 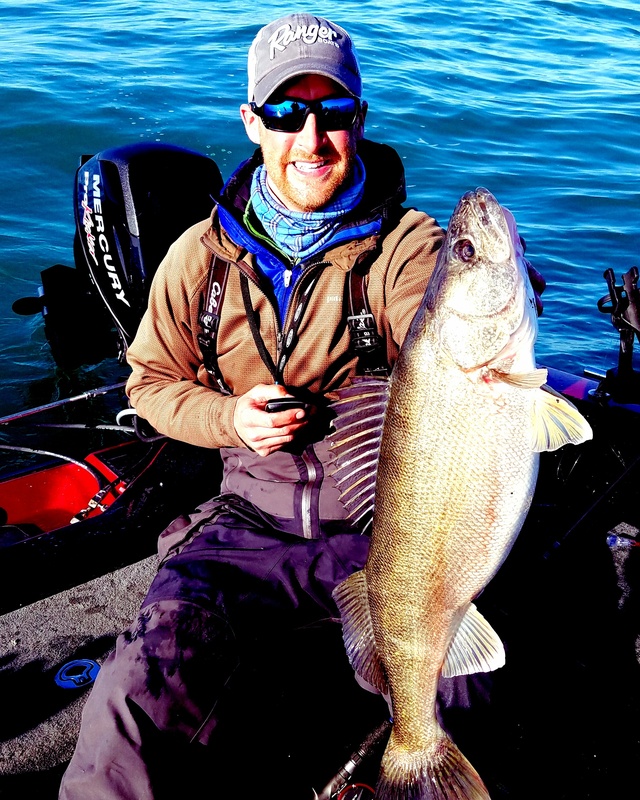 It has an unimaginable number of walleyes in it, and a 27 incher is considered average. I arrived on Wednesday the week before the tourney, and got right into the fish all day schedule (my favorite). The bite started off rather slow for our team, as we began to get a feel for the progression of the fish, finding out how far along they were with spawn, and how far East some of them had already started heading. 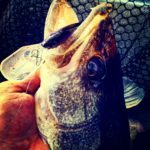 Hot patterns were developed early on, with Berkley Flicker minnows, Bandits, and down deep Husky Jerks being on the menu. As the weather stabilized and went flat for a couple days, I really started mixing in spinners, and in the clear water they definitely held their own. I experimented with a number of blades and beed combos, and arrived at the most gaudy options I had…a pink lemonade type #5 blade with pink chartreuse purple white beads. One day before the tourney, I blew the power head on the beautiful boat that my friend Brett Kenner had borrowed me. In case I didn’t have enough on my mind calculating where how and when I was going to fish my first tourney as a pro. I stayed calm and confident, only because history has always shown that God will work something out for me, as I went through the list of possible borrow boats, rental boats, etc. Etc. My heaven sent guy appeared. Dan Smith, who travels with our good friend Ryan Buddies, offered me his beautiful Ranger 621 FS, and not only borrowed it to me, but also drove a 6hr. Round trip to get it for me the day before the tourney. When I got to the spot I had an unsettling feeling as I slowed down to 20 mph to start looking for fish….the HDS unit had massive interference from the hummingbird graph that was also turned on…I tried calmly to source a different transducer, and played with the settings a little bit, but was unable to think about turning the hummingbird off with so much going through my head….eventually I slowed way down and finally marked some fish, enough to try a pass. The screen was lit up with fish, but the water was dingy and I wasn’t able to get them to bite, so I headed further west, and picked up my first fish, a 27 incher. On a slick alewive flicker minnow. Pulled the pin and started heading back to the reefs, and then the south passage, and eventually further east, where I decided to make a pull in some ocean water where I knew it was hard to mark fish anyways on the graph. One pass and we had a couple 29 inchers to show for it. And that is how day one ended. Made the simple plan to start off where I ended, was going to get upper 30 lbs. Going then head to the reefs to try and upgrade a couple to pre spawn status. 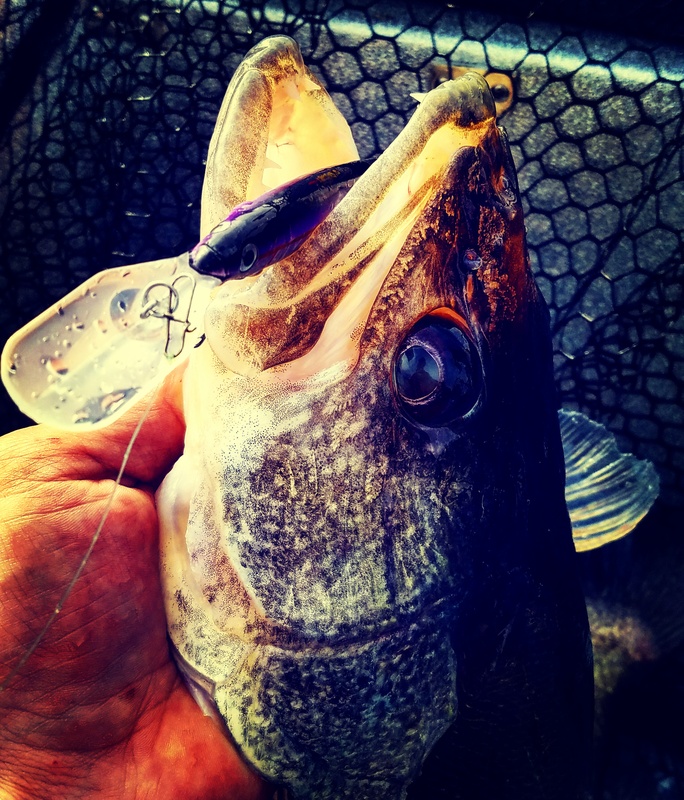 I started off with 2 Berkley Flicker Minnows on my outside boards 50 ft back, and 2 spinner rigs on my inside boards. 30 back with a 1 oz. weight. As the magical day progressed , I was unable to fire any lure, they where eating every one equally , except we did notice at the end of the day that we were going to weigh 4 of the 5 thanks to the slick alewive Flicker Minnow. I didn’t really get my money’s worth day 2, because Keith and I had zero pressure on us at all. After our weak day one weights. That said, we finally high fived after we caught a close to 11-lber , which was a 5 lb upgrade! We were having so much fun, that I was able to capture a lot of it on GoPro, and will share that as I upload it. Went to the weigh in, and got to hear one of my favorite voices announce our huge bag. 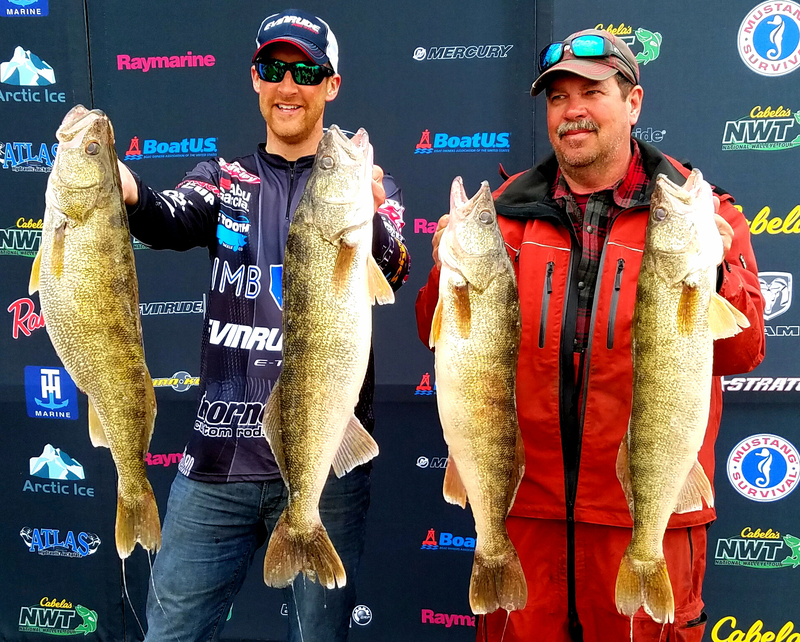 Chip Leer was very excited because we just weighed the 2nd biggest bag of the tourney… 46.58 lbs of Lake Erie Gold. 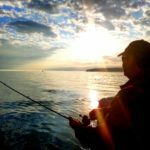 I assumed it wouldn’t be enough to get me in the money, and as more and more people weighed in I was bumped down to 40th place–two spots out of the money. I’ll take it for my first tourney on the pro side. I learned a lot, and so did our team. 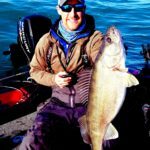 Can’t wait for the next one on Lake Winnebago, I’ll be ready to carry on this day 2 momentum.